Its back once again, and with a full two cours at that? 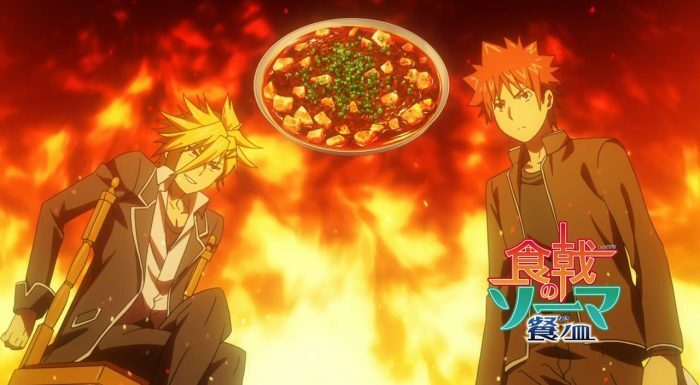 Life is full of surprises, but I’d say that the return of Shokugeki no Soma is definitely a welcome one. After a fantastic first series, a rushed but still darn great second series, its almost unreal that we’re getting a third season for this franchise. Raise your hand if you called this turn of events, because I certainly wasn’t expecting it. And being the huge fan that I am, of this franchise, I…. Uh… Kinda went and did a thing. Its a thing that puts me in a really interesting situation this season, as I not only watch this series, but blog it as well. Here’s the thing (that I, umm.. Did! ), I went ahead and read the manga for Shokugeki no Soma and have probably read a good deal of the material that I think this third series is going to adapt. Part of me really regrets doing that now, but I honestly never expected Shokugeki no Soma to ever get a third season, as even a second season felt like a darn miracle to me. As far as I know and knew, Shoukgeki no Soma wasn’t and isn’t as popular as other shows that have gotten a season three. 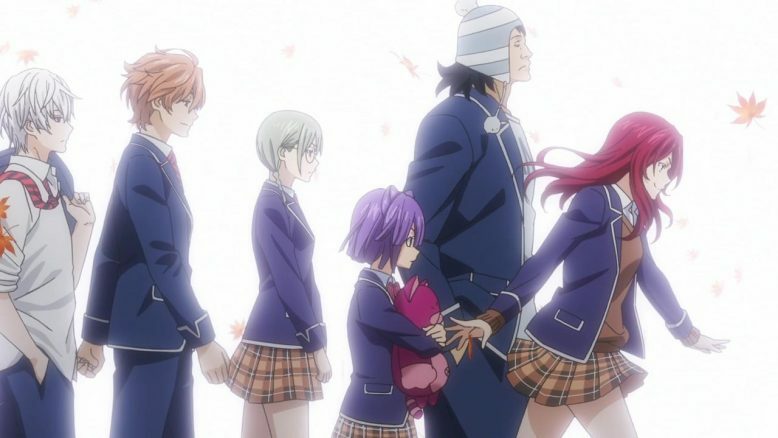 If you’ve followed my blogs or even listened to some of my Notaku Video podcasts, I’ve always lamented the fact that Shoukgeki no Soma started in the sort of way that it did. There was a ton of fanservice in the franchise’s first two episodes, and while fanservice is a staple of the show, its rarely as tasteless as it was in those early episodes. Its those early episodes that put off many (even some of my collegues here at Anime Evo)… But regardless of what I thought the show’s popularity was, I was definitely incorrect in believing that the franchise would never get another anime season, and Thank God for that! So… With all the gushing and celebrations aside, how was the opening episode of season 3? Well… It was okay. Don’t get me wrong, I still thoroughly enjoyed the premiered, and was thankful to be back in this particular world, spending time with the show’s lovable cast of characters but… Well… the “jump” back into the story, this time, felt a bit more rough than the seamless premiere of the second season. And beyond even just the transition between seasons itself, there are some big changes this time around, that definitely makes things a bit weird. 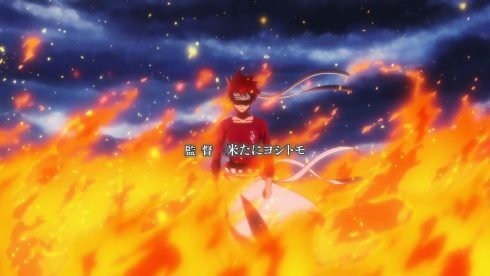 Yes, I do believe that Shoukgeki no Soma will be fine in spite of these elements, in the long haul, but this first episode in particular, definitely had some sticking points. The first of those sticking points that’s really noticeable, I think, is where, or rather when, the show brought us in to the story, in terms of timeline. 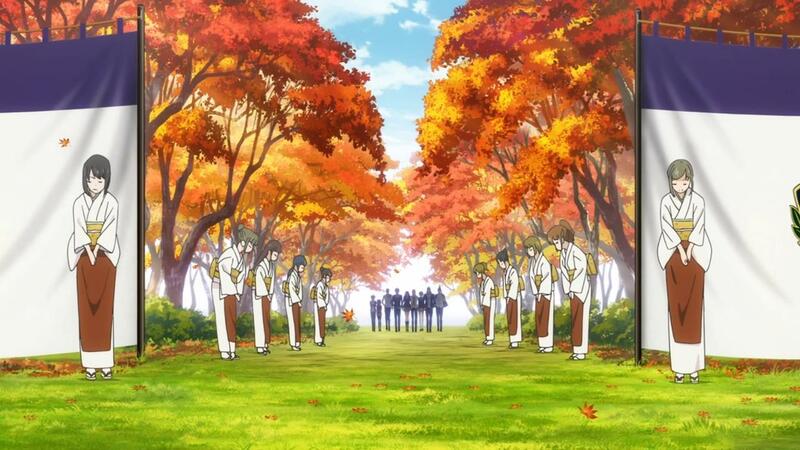 The episode this week, actually opened up with a sort of anime original recap moment, one that quickly goes over a big meeting that Soma and his peers have with their superiors (for lack of a better term), the Totsuki Elite. The introduction of Totsuki Elite in the manga was this huge special chapter, complete with a full page, colored spread (which is really rare for manga, especially those in Shounen Jump). The anime, unfortunately, kinda glosses over the meeting, and a big reason for that is because that particular part of the manga has actually already been animated outside of this series, in a special edition OVA that was bundled with a volume of the manga in Japan. Now, that would be totally okay, except that there’s really no way for international fans of the franchise (anyone basically not in Japan) to watch or enjoy this particularly important part of the story (Legally, or otherwise). And this whole thing, is kind of a problem that this week’s episode can’t really get away from. The introduction of the Totsuki Elite is SUPER important, not only because of the fact that one of them is centrally featured inthe current arc that the anime is just getting into, but because the Totsuki Elite are a bunch of characters that are going to be a huge deal in the story overall. Each of these characters are very unique, quirky and interesting, and while the introduction to them doesn’t tell you the whole story, it does, at the very least, set some initial expectations of who they are. 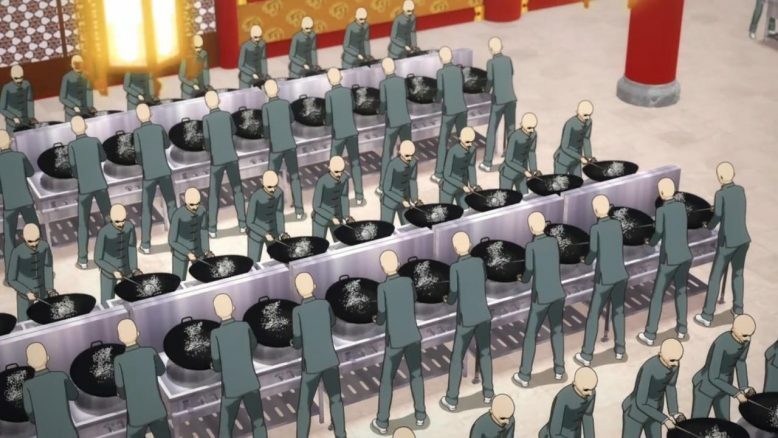 Its really sad that anime only watchers are never going to have that context, because its those expectations, that are played with and built on, to great effect in the story. Look no further than the last scene of this week’s episode for what I’m talking about. 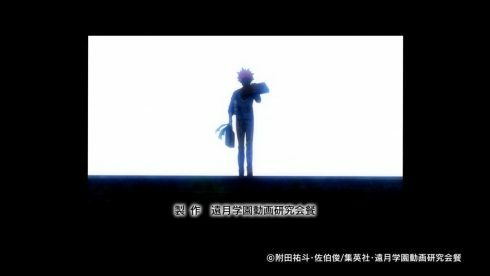 There’s a scene after the Ending Credits, that pretty much shatters the image of one of the Totsuki Elite. This is a pretty interesting and hilarious moment in the manga, but anime viewers will I imagine, never really get why that scene is so interesting. (Hint: A certain character shows a really different side to him than what’s been established by the story until this point). But beyond the little Totsuki Elite Introduction issue I’d say the episode as whole, did a pretty good job of making everything feel familiar and fresh at the same time. What didn’t change, surprisingly for me, was that feeling of a rather brisk pace for the show, one that still feels like its going at insanely fast speeds. I’m sure some of that quickness has a lot to do with the fact that the show couldn’t really develop the bigger conflict of the story properly. As if almost in response, it really felt like the show kinda just rushed into its new story arc, perhaps seeing no better alternative. But I don’t think that will hurt the series as a whole, because the arc in question. Trust me, this story arc, the Moon Festival Arc as its called, is one of the best story arcs of the franchise, and definitely one of my personal favorites. As I read this arc in the manga, I felt devastated at the time that it would probably never get the anime treatment (which you know, isn’t true anymore). Okay Okay, Let me say this, if you loved the Karage Chicken arc in the first season, then you’ll definitely like this arc, perhaps even LOVE it, like I do. 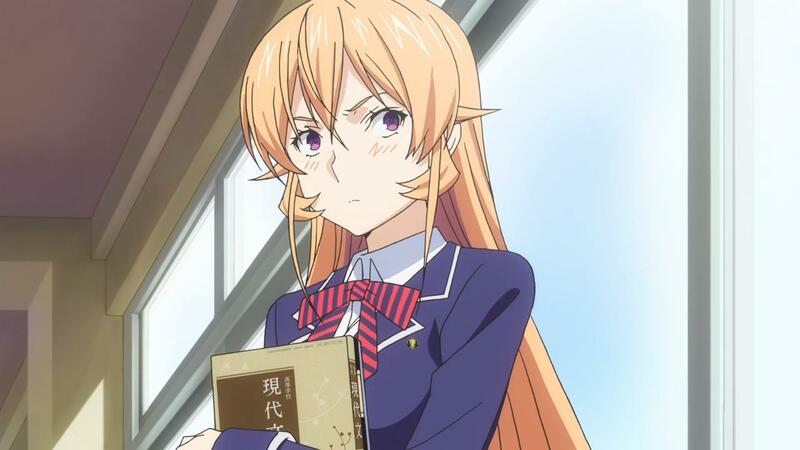 And since we’re on the topic of love, now’s a good a time as any to talk about another one of those big changes that happened this season; The change of seiyuu/voice actress for Erina. This is a really tough thing to deal with, both for the anime fan but also for the anime production staff, as changes in seiyuu are exceedingly rare in the anime industry. But, with Erina’s original seiyuu Risa Taneda taking a break from voice acting due to health issues, the role has fallen to none other than Hisako Kanemoto. Hisako Kanemoto is no slouch either, and has done a ton of notable roles, but the issue here is really not that of talent. 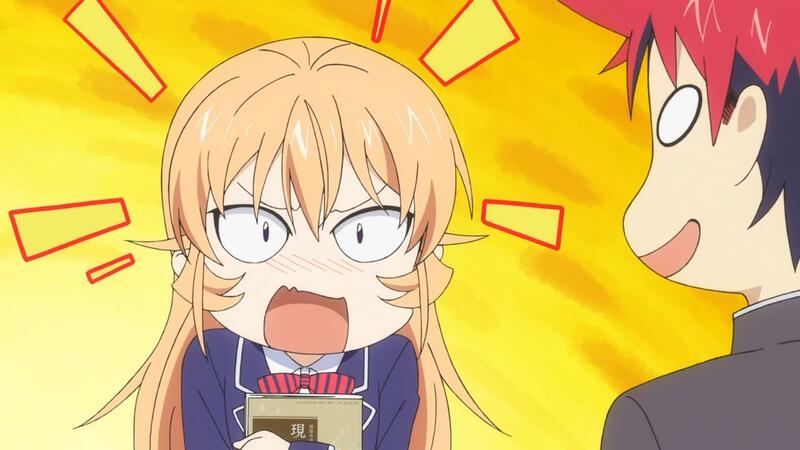 Fans of the franchise have just heard Erina as a different voice, for three whole cours, at that. That’s a lot of time to develop a familiarity with a character, so… Short of Kanemoto flat out imitating Risa Taneda’s performance, this change was never going to feel super natural. And it doesn’t feel natural, because Kanemoto’s performance, while serviceable, doesn’t feel like the Erina that everyone is familiar with. I definitely got some whiplash from the voice, and I think the problem I had with this performance, at least initially, was that Erina just didn’t feel annoying and arrogant enough. Erina has that stuck-up, Spoiled Rich Ojou-sama character, and the fact of the matter is that Kanemoto’s performance makes her sound a bit nicer than she should sound. There’s a little bit of a mismatch here, and I guess it’ll take a few episodes to adjust to the new voice and tone for this character. And I will say, it is a darn shame that the show is running into this weird transition, because Erina’s role, one that’s only had ancillary buildup thus far, shifts into a major one in the next few story arcs. And speaking of change, It would be remiss of me to not mention the Animation quality dip this season as well. J.C Staff, for the first and second series of this franchise, did an amazing job, production wise of making this story come to life. This week, we really got a pretty good idea of how there have been some compromises, at least in terms of animation budget. This week marked the first time I’ve ever seen this franchise use CGI animation, and it wasn’t done to great effect. But even forgetting that huge CGI scene, the animation as a whole didn’t feel like anything special, and that’s a surprise to see, from this franchise. 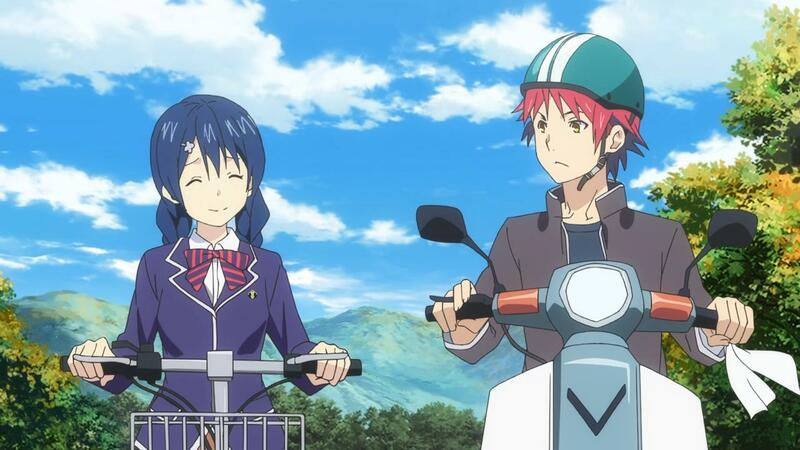 Its something that I suppose I need to get used to, especially considering that Shokugeki no Soma is in its third series (and a full 24 episodes one at that), but it was a bit disappointing none the less. Those weird changes aside, Its worth saying that I was so totally happy to see the show jump right into the Moon Festival arc. Kuga is the start of the show here (besides, you know, Soma himself) and the primary antagonist that Soma is now taking on. 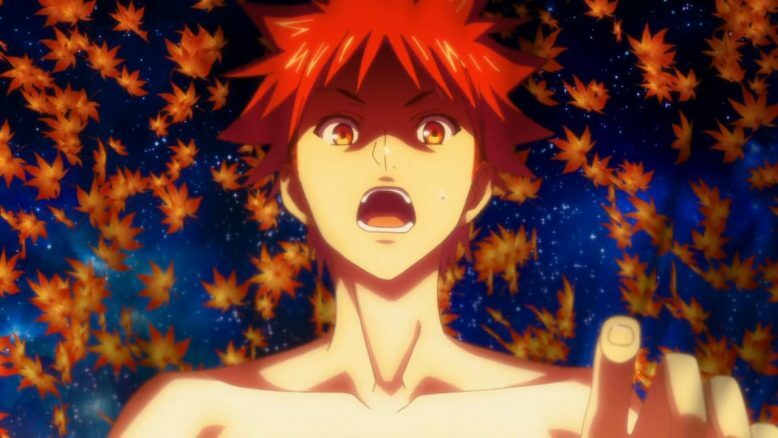 I have to say, for all the gripes about voice acting, Kuga’s voice was SPOT ON! 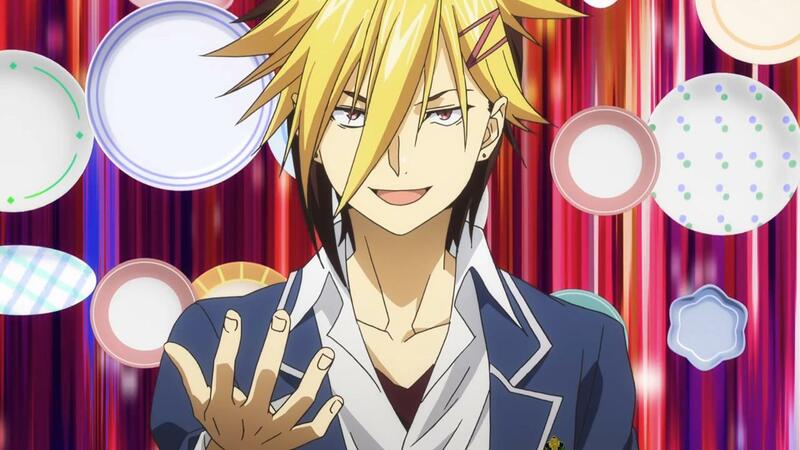 I mean, I read the manga, and I totally imagined Kuga with Kaji Yuki’s voice. I know Kaji Yuki is someone that fans love to hate (Especially when he’s voicing abrasive characters like Attack on Titan’s Eren), but I really do believe that Kaji Yuki is totally MADE to play Kuga. And Kuga is quite the rival and opponent for Soma to tackle. The show’s already kind of mentioned what Soma is doing post Autumn Elections, He’s trying to become a member of the Totsuki Elite. The only way to do that, is of course, to battle one of the Elite Ten in a Shokugeki. Here’s the problem though, both participants need to put something of real value on the line, in order for the competition to even happen. Soma? He doesn’t really have anything that any of the Totsuki Elite will want. Kuga, in the OVA/Special Chapter, is the only one of the Totsuki Elite that even gives Soma a small hope of a chance to challenge him. The hope? 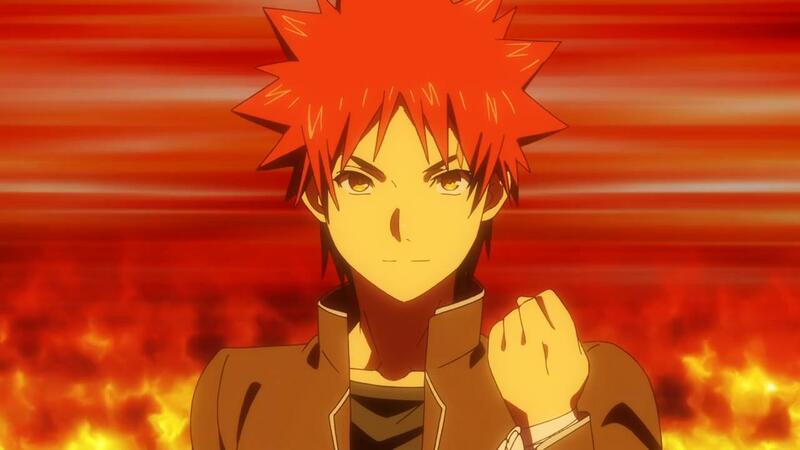 One up Kuga in something related to cooking, and he’ll accept the challenge of participating in a Shokugeki. And thus, we have the Moon Festival, Totsuki Academy’s version of a School Festival, and Soma’s one chance to be able to defeat Kuga and gain the right to a Shokugeki. 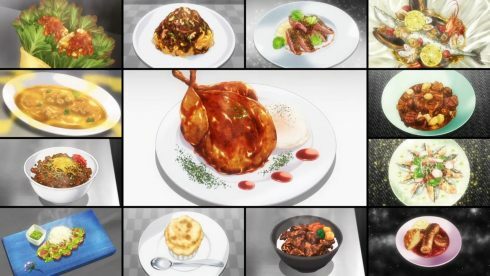 Before I finish up, I will say that this arc does something that the show and franchise as a whole have always done so well; it focuses on cooking as an industry as well as a trade. 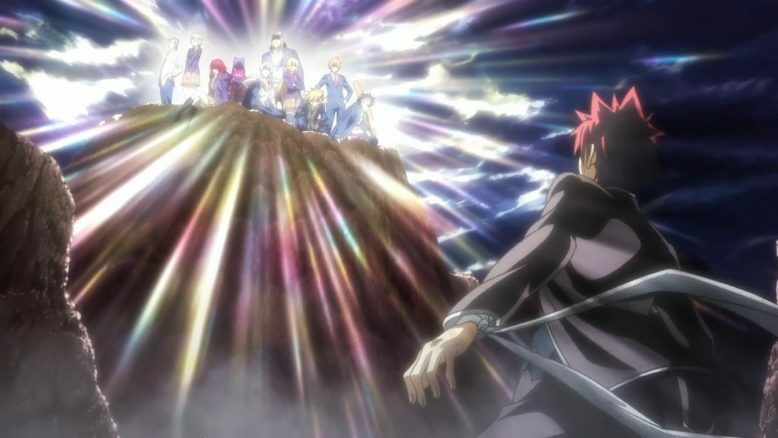 Here’s the thing, Soma is trying to take on Kuga, but Kuga has a huge reptuation and an army of followers at his side culiminating in him having one of the biggest booths at the festival. There’s no way Soma can really compete with him on man power alone, and to make matters worse, if a booth looses money at the festival, the students responsible for said booth are expelled. Its the classic cutthroat Totsuki School system rearing its ugly head again. Its harsh, but you can’t deny that Soma has more or less dug himself into a really deep ditch here. He’s set himself up to be right next to the biggest booth in the festival, without much of a plan, and may very well be expelled if he fails. Plus the theme this time is Chinese cuisine, something that we haven’t seen Soma even touch thus far! How’s that for stakes? Haha, I guess its buisness as usual. Man! 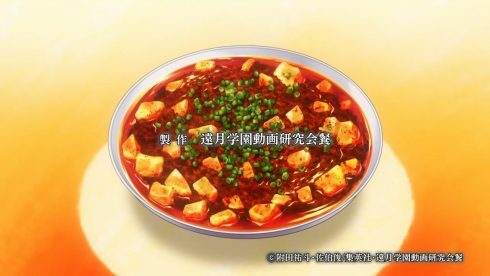 Shokugeki no Soma, its great to have you back! I’ve generally gone away from comenting on OP/ED themes in my episode blogs, but I think its worth making an exception here. For one, I really liked both the OP and ED themes for the show, and they really did feel like a continuation of the feeling and the tone that the second season established. Which, is honestly pretty amazing considering that ZAQ is a completely different entity to that of SCREEN mode (Which did Season 2’s OP Theme). nano.Ripe on the other hand, is once again back for a very familiar sounding ED theme as well. The only other thing I’d like to mention is what the OP and ED themes showed, which was quite frankly, a lot more than I expected. There’s some spoilers in there sure, but the big thing for fans is that the OP Theme in particular, shows events that are pretty far off from where the anime is starting from. That means that a good deal of the franchise’s story is getting covered in season 3, and having read pretty far into the manga itself, I saw some scenes that were right at the cusp of where I had stopped earlier in the year. So yeah, good stuff all around. While the episode itself had a few issues, I don’t think there was anything truly worrying in there just yet. Its worth seeing how JC Staff adapt this particular arc of the manga, as it is something truly special.